At a RFU Disciplinary Hearing held in Bristol on Tuesday evening Cornwall skipper Ben Hilton was cleared of an incident of foul play during the game between Worthing and the Cornish All Blacks in National League 2 South. However, there was not such good news for fellow All Black Barrie John Chapman who was found guilty and suspended for eight weeks. He will be free to play again on October 14th. Also it has been confirmed that Cornwall coach Dave “Benji” Thomas will be standing down from his post after the final against Lancashire. 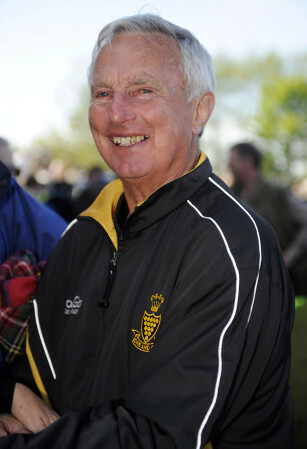 “Benji” first coached Cornwall in a county championship match away back in 1975 when Cornwall lost at Redruth to the then reigning champions Gloucestershire 9-6. St. Ives’ Peter Hendy captained Cornwall that day. 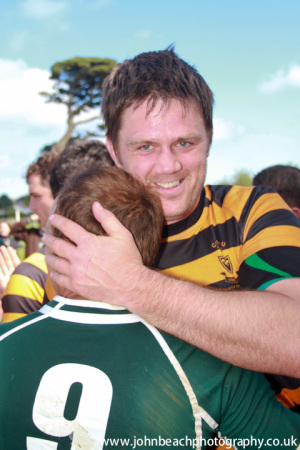 Said Thomas.“I am absolutely delighted, instead of finish my time as head coach with a defeat against Hertfordshire at Camborne, I a bowing out at Twickenham, and I think that is brilliant. I feel I have been in this position long enough. I am sure there are younger men who can come in and do it. I have enjoyed every minute, but I just think it’s time for me to stop. “With all the youth rugby coaching I do in Cornwall, it’s time to let someone else have a go with the county team, but what a way for someone to come in and take the job, off the back to a trip to Twickenham. ‹ CAN CORNWALL FINALLY CONQUER THE RED ROSE?